This sect considers itself to be the most ancient and powerful of the four groups in Lunatum. Believing that they are the true descendents of the dragons, the Sect of Sobek hold many ancient secrets and rites. Also true to their wild, draconic blood, the Sect of Sobek prove a passionate people who cherish life and all emotions, almost overly so to make up for their cold-bloodedness. 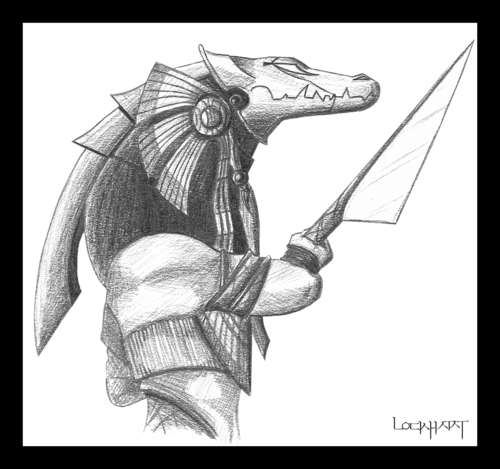 Of all the sects, the sect of Sobek is reknowned for their singing and music, and every initiate is trained in this particular art, according to their preferences. This sect is at war with the Sect of Bastet, and have been for some time.